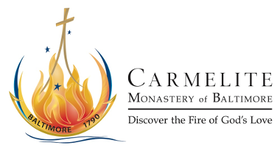 On this site you may search inventories of the archival collection of the Carmelite Monastery of Baltimore (est.1790). These records of the continuous life of the oldest community of religious women in the original thirteen states are significant for a number of reasons. They reach back into seventeenth century English and Low Country history as well as seventeenth and eighteenth century Maryland colonial history. This repository holds records relating to the early history of the Catholic Church in the United States including letters and documents of the first U.S. Bishops, the Jesuits and other religious communities.